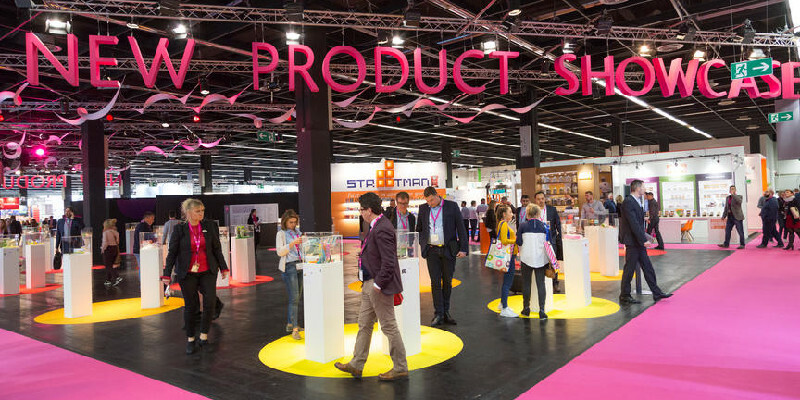 ProSweets Cologne, the international supplier trade fair for the sweets and snacks industry, and ISM, the world’s largest trade fair for sweets and snacks, are ready to kick-off in Cologne, Germany, January 27 – 30. To find out more about these shows, held simultaneously, World Bakers asked the organizers from Koelnmesse GmbH for some insight. Of all the current industry topics that are on the agenda at ProSweets and ISM, there are three major trends exhibitors are focusing on. According to the organizers, one big topic is protein, especially natural and vegetable proteins combined with known ingredients such as spelt, hempseeds and spices such as turmeric, pandan or pumpkin spice. The second trend is bakery products containing vegetables. Colorful vegetables like carrots, beetroot or sweet potatoes are used to boost the flavor. Last but not least, the exibitors will take a look at freshness and convenience and the important role they play. “Consumers like to buy smaller sizes of bakery products. That goes along with the trend of to-go-products. Producers are working more and more on these kinds of products and create new sizes with respect to the demands of the consumer,” the trade fairs’ organizers say. Talking about bakery and confectionery trends developing in Germany and Western Europe, Koelnmesse representatives say that consumers have a growing awareness for nutrition and sustainability. “Healthy snacking is ‘in’ again. Especially the demand for sugar-free or sugar-reduced, but also salt-reduced or fat-reduced products grew in the last year. Another aspect is that consumers want to know the origin of the food they buy. In so doing, fair trade and high-quality products gain in importance. An ongoing trend is organic and vegan. These products are very popular and go along with the demand for healthy food,” the organizers of the trade fair add. Besides the food itself, producers work on alternatives for plastic or aluminum packaging solution. The demand for products that are bio-degradable is high. In the Speakers Corner in Hall 10.1., Stand H91, the trade visitors will be offered an extensive lecture program daily on themes related to production, processing and packing. Expert speakers from institutions and companies will ensure the high quality of the lectures. For example, lectures on the topics of sustainable packing and concepts as well as augmented and virtual reality for product marketing and sensor technologies for food packing will take place every day. One of the most interesting subjects is the session called “Technology, Reformulation, Sensory – Success Strategies for Reducing Salt and Fat in Snacks”. According to the organizers, the replacement of refined sugar, saturated fatty acids, gelatine, milk and egg play an increasingly important role in sweets and snacks. Sustainability, practicability and lifestyle are important criteria when evaluating packing nowadays. How manufacturers master this challenge and succeed in finding the right design and materials is addressed in the special event Packaging – “Function meets Design” in Hall 10.1. at Stand H50. The experts from the partners, the Fraunhofer Institute, LSD GmbH, and PACOON Gmbh will be holding lectures on the focal themes traceability, digitalization and sustainability. According to the organizers, in this special section visitors get a 360-degree view on how to make packaging more sustainable. The special show about packaging will give a lot of insights of what the future of packaging will look like. Aspects of augmented and virtual reality are playing an important role here. Visitors can expect the presentation of a virtual supermarket as well as modern solutions for tracking along the supply chain. Moreover, representatives from Koelnmesse say that the demand for smaller volumes and batch sizes is growing because of individualized products. Flexible production machinery for fast change of variety and format will be presented at ProSweets Cologne. In addition, manufacturers show production systems that can handle raw material more effectively through the merging of mechanics, electrics and software, also for small volumes. In so doing, the hygienic design for high product quality and easy maintenance becomes more important when product changes rise. The future will be a smart factory that offers effective maintenance through connected equipment, self-diagnosis and error elimination, the expert think. In collaboration with Koelnmesse, the DLG (German Agricultural Society) is offering guided tours with intensive insights into the theme reformulation. They will take place at 3:00 p.m. from Sunday to Tuesday and at 10:00 a.m. on Tuesday and Wednesday. The tours last around an hour. The meeting point is the DLG stand in Hall 10.1., Stand B08. “Healthy snacking is a big trend! The guided tours will give the visitors more insights into how products can be reformulated without losing taste and quality and how market trends like low sugar and high protein can be met, while taste and quality remain high. Experts will not only take ingredients into consideration but also technology issues and solutions. Moreover, an independent expert will be available for individual questions, contacts and further details about the solutions and ideas they talked about,” the organizers of the trade fairs say. In this section, visitors can expect new forms of packaging, sensor systems for monitoring freshness, lots of sugar-free and as well as keto and protein drinks. Moreover, products such as hemp bars in different kind of flavors, halal and kosher chocolate or bars made of cricket flour can be seen here. Topics such as free from products, natural and protein products and To-go products will also have an influence on the bakery market because consumers expect that their demands are fulfilled. Also raw ingredients such as dried fruits or nuts, which are used in a lot of snacks, will play a more important role in the bakery market. Taking about the next major direction of the trade fairs, the organizers says that the healthy eating trend will maintain. “Individuality, taste, ingredients and the origin of the food are the driving forces for consumers right now. Of course, both fairs represent the current market but also give an insight about future trends, technologies and innovations. We always work on this special mix, because our visitors expect the presentation of state of the art of products but also of future developments. We give orientation and offer a business platform for knowledge exchange, expert talks and networking. And our unique combination of ISM and ProSweets Cologne reflects the entire industrial value chain,” Koelnmesse representatives concluded.